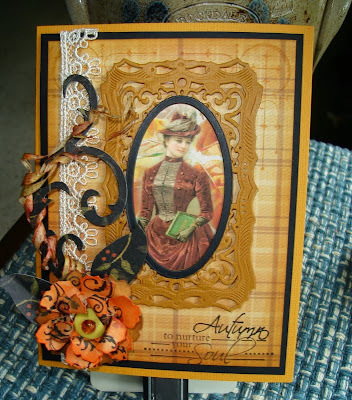 Good Morning Ladies, today I’m posting another Autumn card with a different twist to it. Have you ever stamped on (Cornhusks)? 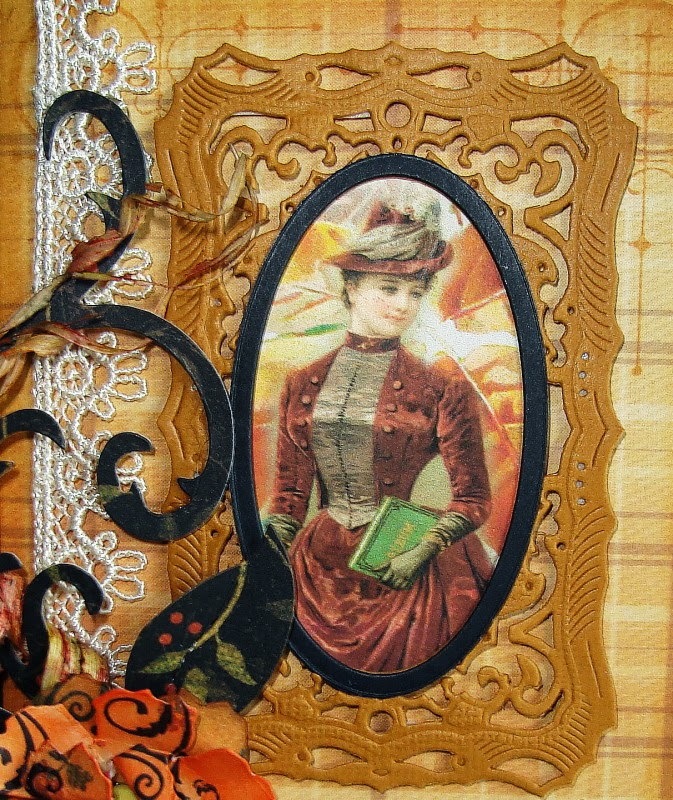 Yes dried cornhusk was used on the Elegant Flourishes die from Tim Holtz’s. and this is one that I couldn’t wait to try, well that was (AGES) ago. This is a Spellbinders Die called Nobel Rectangle (S5-190). Movers and Shapers Tattered die was used for the flower which was inked with distress inks. Printed papers from DCWV. Stamp credits are TAC and Marks Finest Papers. Thanks for stopping in this morning. Stunning card Vada, the colors are beautiful. No, I have never stamped on cornhusks! You are so unique and this card is such an elegant work of art! Love that frame and those flowers are gorgeous! Big Hugs! Once again you have made a real beauty, it is a feast for the eyes. I've stamped onto other food items but never a cornhusk - wow. 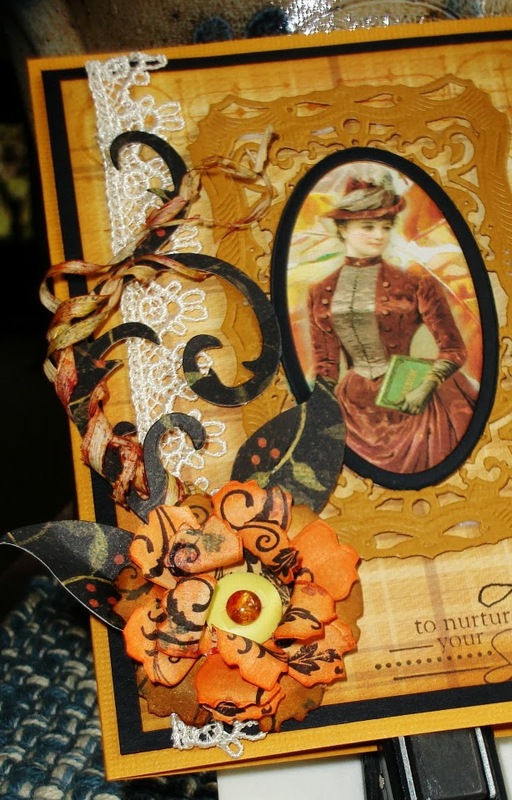 That frame is stunning, definitely brings Autumn to this glorious card. So much wonderful texture, Vada. Love how you wrapped the flourish, especially. Beautiful Stationery Box (Well Kinda) ?